The holidays are quickly approaching! Thanksgiving is just a couple short weeks away! Are YOU hosting Thanksgiving this year or attending someone else's? Well, either way, no matter what you plans are, I'm sure the last thing you want to do the week before is fret about what to cook for dinner! The Crock Pot is my best friend and I love knowing that there's dinner waiting for me when I get home!! No need to think about what to make for dinner because it's already made! 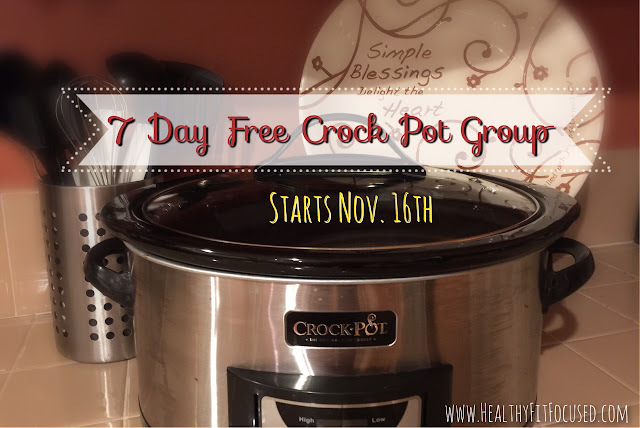 Starting on November 16th I'm hosting a FREE 7 day crock pot group! I'll give you 7 different HEALTHY crock pot recipes that you can choose from and make during the week! Sounds too good to be true right? Well...it's not! So, join me for 7 days of clean eating crock pot meals!! It's the week before Thanksgiving (where I know we'll all be enjoying some extra treats! 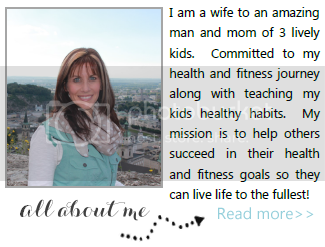 ), you don't have to stress about dinner and we can get healthy BEFORE the Holidays! !